Are you trying to look for ways to compress and reduce the file size of your videos? Contrary to popular belief it really isn’t that difficult to compress video files, and all that you really need to know is a little bit about the main options that you can use to do so. The video codec is part and parcel of the video format, and it is what determines the compression that is used in the video. Converting your video to a codec with better compression is a good option because you’ll end up with the same quality but a smaller file size. Typically newer codecs have better compression rates than older codecs – and sometimes the difference is very significant. For example if you were to convert a H.264 video to the newer H.265 codec, you could reduce its file size by up to 50%. If you choose the compress videos in this way, you will need to first identify the codec your video is currently using and whether or not there are any options that provide better compression. On top of that you should keep in mind that newer codecs may not be supported by some older devices, and need to factor that into your decision as well. Another way to compress videos is to reduce the video bitrate. Because the bitrate is the amount of data that the video uses each second, reducing it will let you compress the video as much as you like. The only problem with reducing the video bitrate is that it will affect the quality of the video. Generally as you lower the bitrate the video will start to look less smooth, and various types of compression artifacts may start to appear. Due to the impact that it can have, if you want to reduce the video bitrate you should do so gradually, and find an acceptable balance between the video file size and its quality. While this option may not be ideal, it is useful for compressing videos down to very small sizes beyond what converting the codec would allow for. It is up to you which method you feel is best suited to compress your videos, and in some cases you may even want to use both. 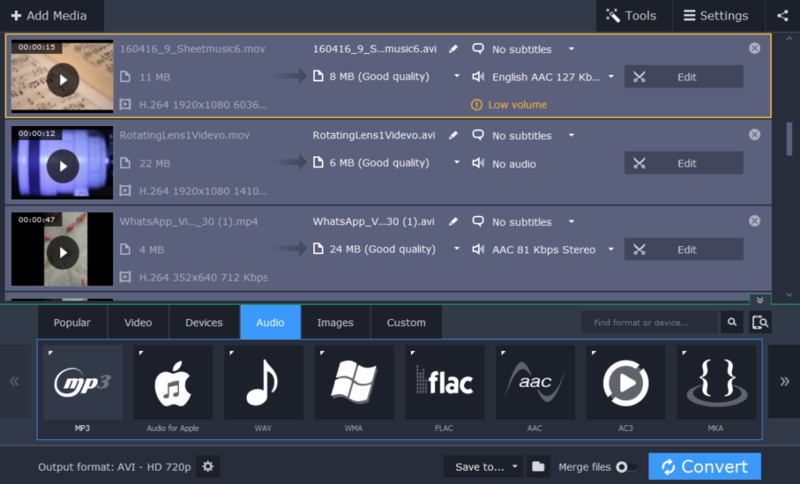 To actually convert the codec of a video or reduce its bitrate you will need a video format converter however, and for example you could try Movavi Video Converter for Mac (www.movavi.com/videoconvertermac/). As you can see there’s really nothing too technical involved in compressing videos, and it is really just a case of figuring out which method you want to try out. Once you do that the rest should be relatively easy, and you will be able to start compressing your videos in a matter of minutes.